Simon & Schuster UK, 9781471157165, 448pp. Sam Wylde is a bodyguard to the rich and powerful. In a world dominated by men, being a woman has been an advantage. And she is the best in the business at what she does. She takes a job protecting the daughter of the Sharifs—Pakistani textile tycoons—but she realizes that there is more to their organization than meets the eye and suddenly she finds herself in danger. Now she is trapped underground, with no light, no signal, and no escape. Dangerous men are coming to hurt her—and the young girl she is meant to be protecting. With time running out, can she channel everything she knows to keep them safe from harm? 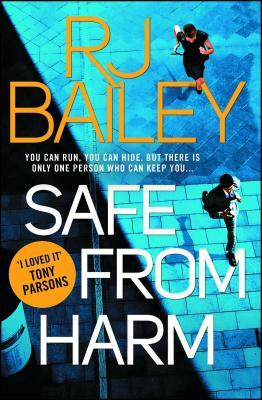 RJ Bailey is the author of Safe from Harm, the first in the thrilling Sam Wylde series.